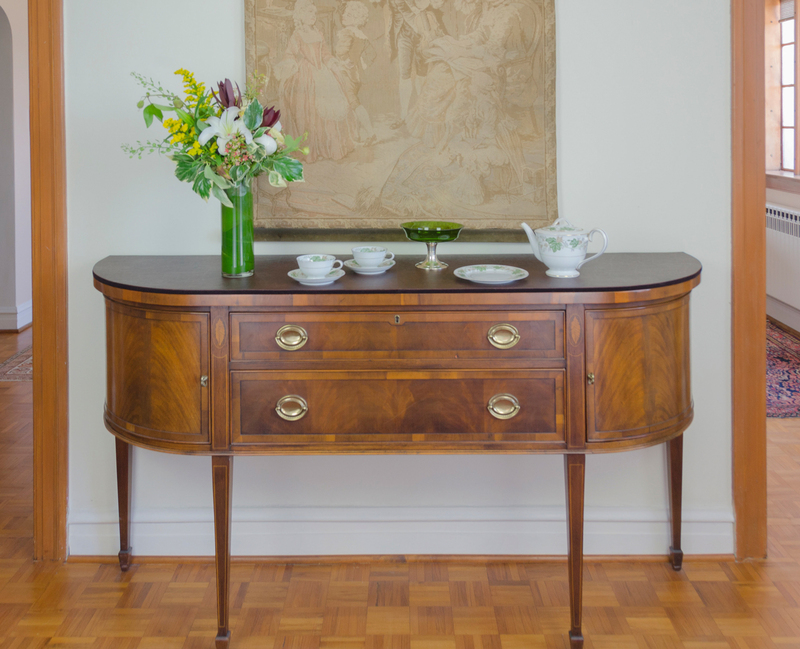 With buffet pads on your sideboard, server or buffet, you’ll have extra serving space for hot foods without damage to the wood finish. Spread out tea, coffee and desserts out for guests to serve themselves. 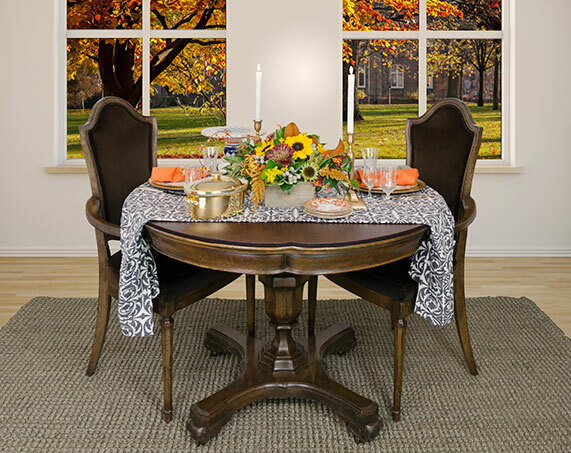 Table pads are made as a set of two pieces for the the main table with extra pieces for the leaves or extender boards. This table has rounded ends and the pads are custom made to fit the shape exactly. 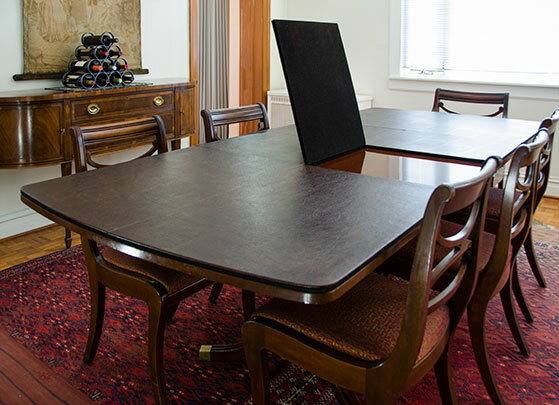 Above: Athena style table pads with the top vinyl in Saddle and the base in Ebony suede cloth. This rectangular table has perfectly square corners and table pads to match in our new, Pewter Vinyl. 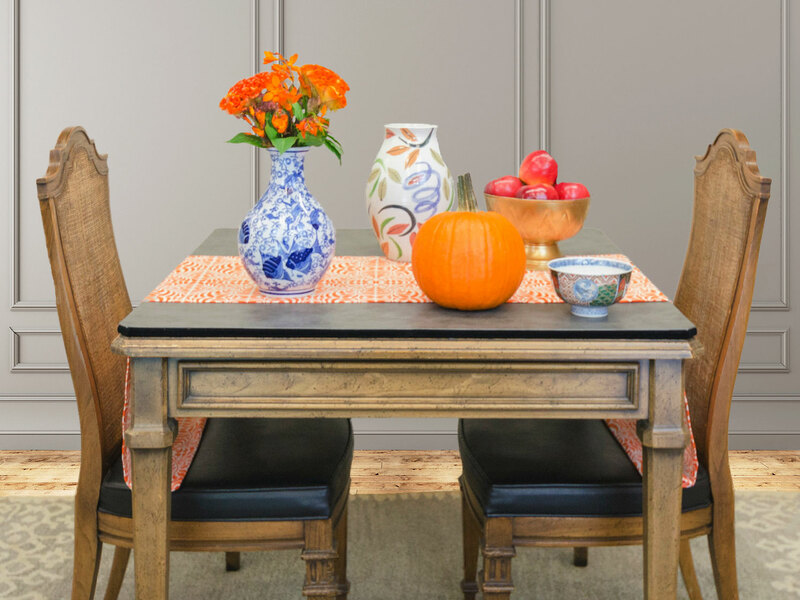 The table pad base is in our gray, Westchester suede cloth. Everyone home for the holidays this year? Make sure to have table pads on all your tables. We make pads for coffee tables and kitchen tables too. Table pads are custom made to the exact size and shape of your table. This table has clipped corners. 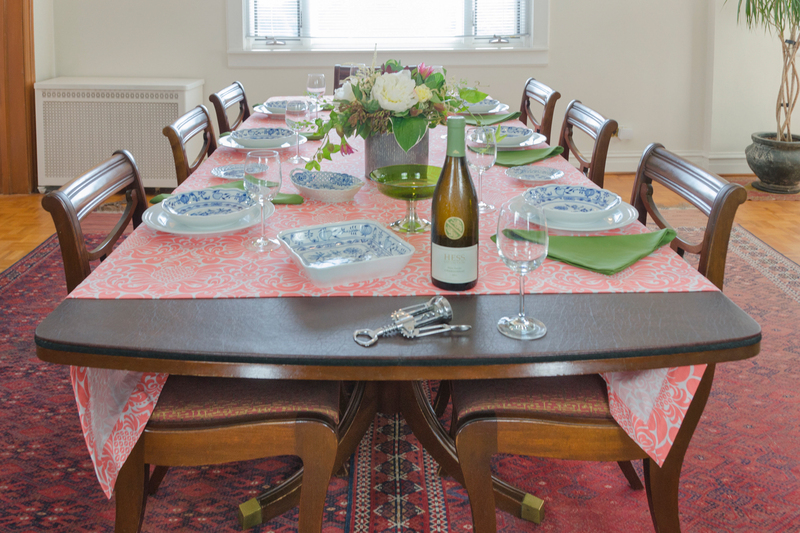 Don’t let moisture from a chilled wine bottle stain your table’s beautiful finish. Bottle openers and other serving utensils can easily scratch your table. Entertain without fear with Superior Table Pads on the table. 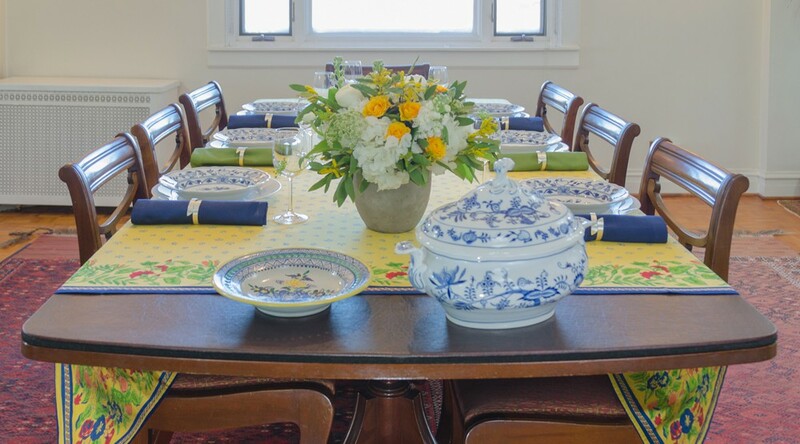 Serve hot soup or casseroles right at the table without worrying about heat stains or spills. 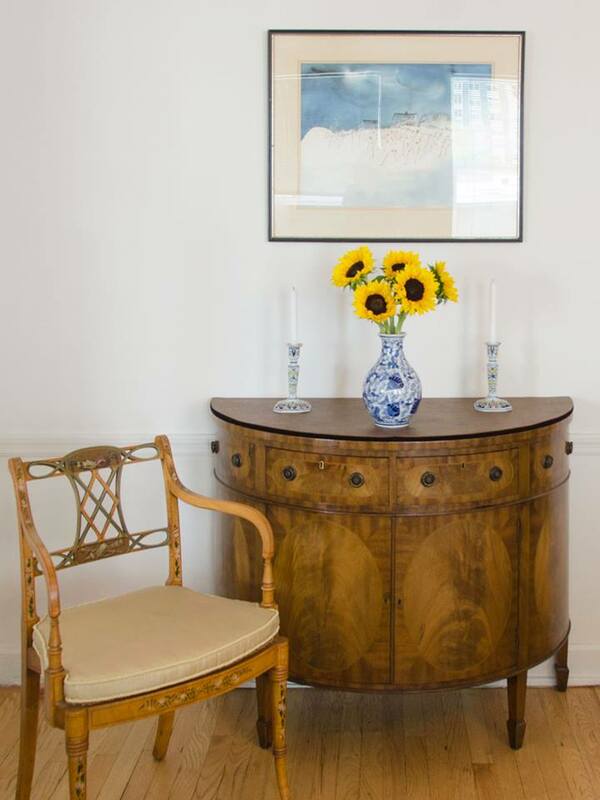 Table pads for an antique demilune sideboard. 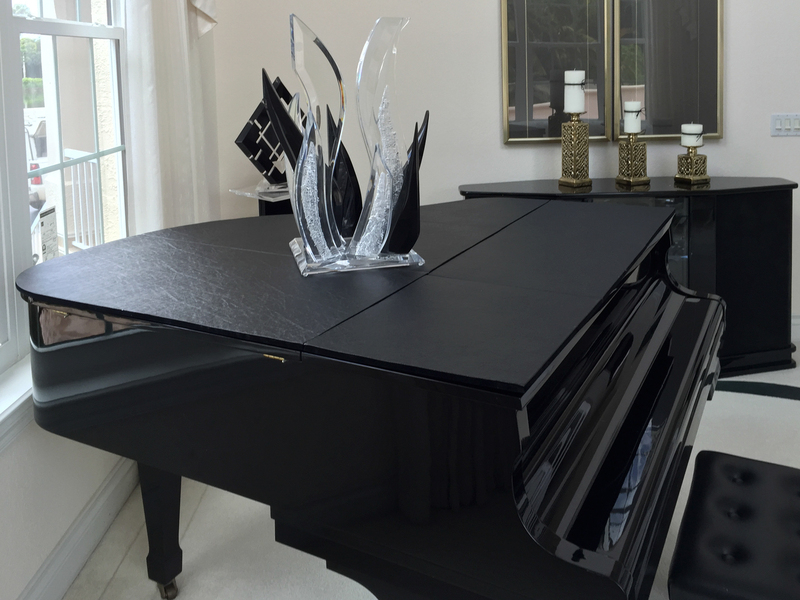 Pads for your piano will protect the lid from spills, scratches or sun damage. 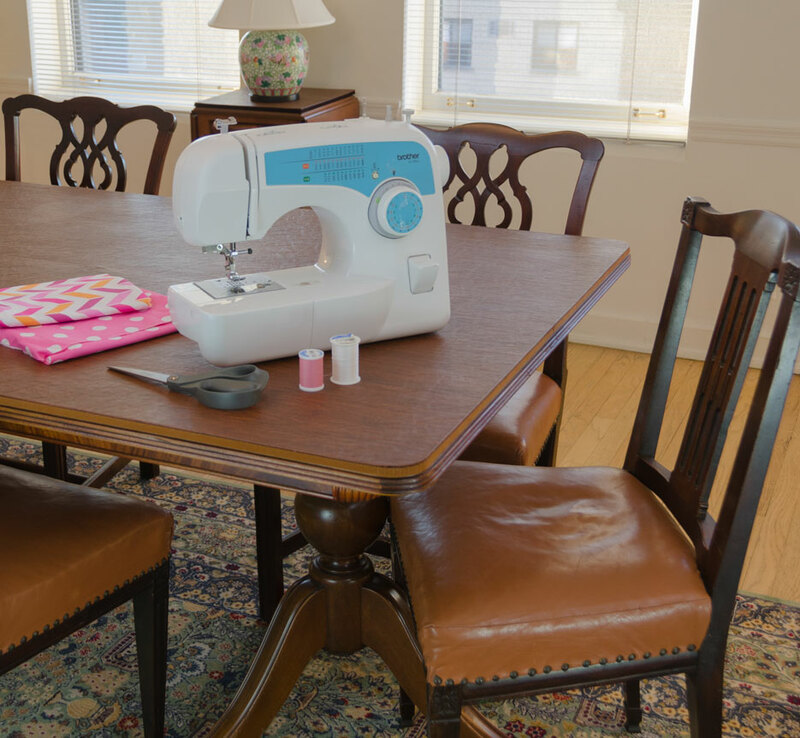 With table pads your dining table can safely be used as a project table for crafts and sewing. Notice that we have made the corners of these table pads to exactly match the shape of the table’s rounded corners. 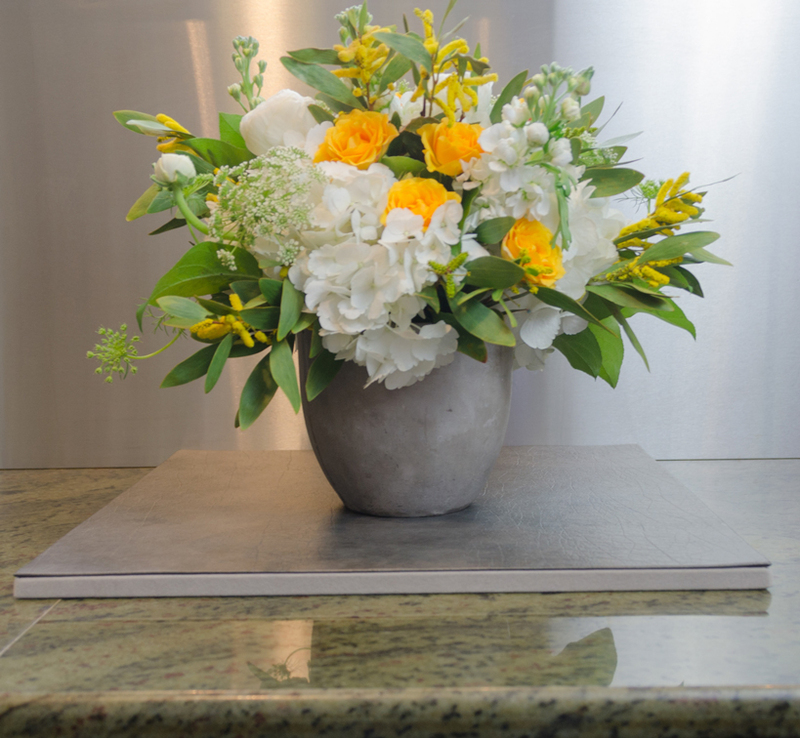 Superior’s smaller pads are great for plants and flower vases. 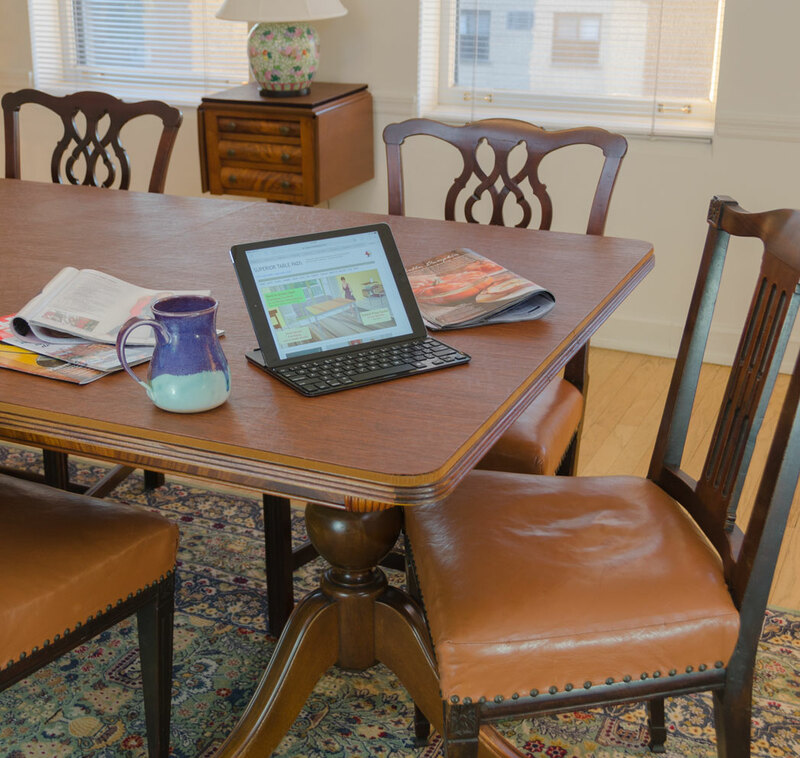 Bring your morning coffee and tablet into your dining room – thanks to the Superior table pads on your table! 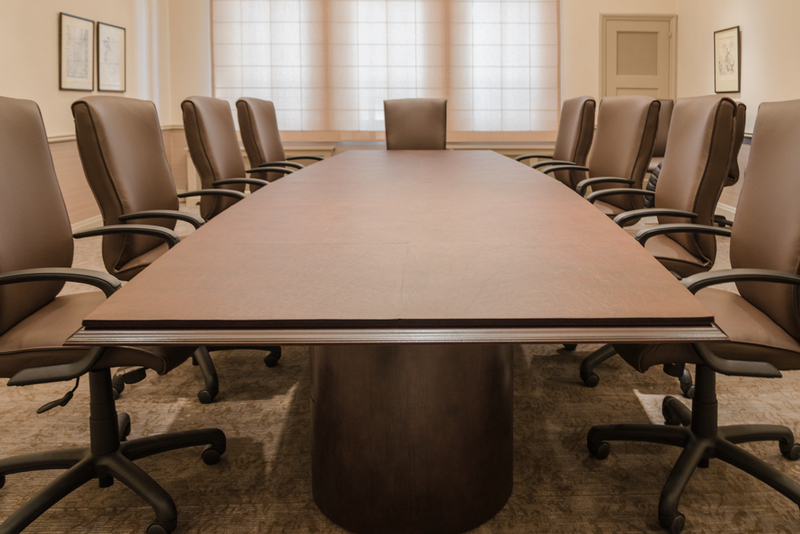 Conference table pads convert your conference table to a dining surface. Also appropriate for working meetings when computer equipment may leave scratches.